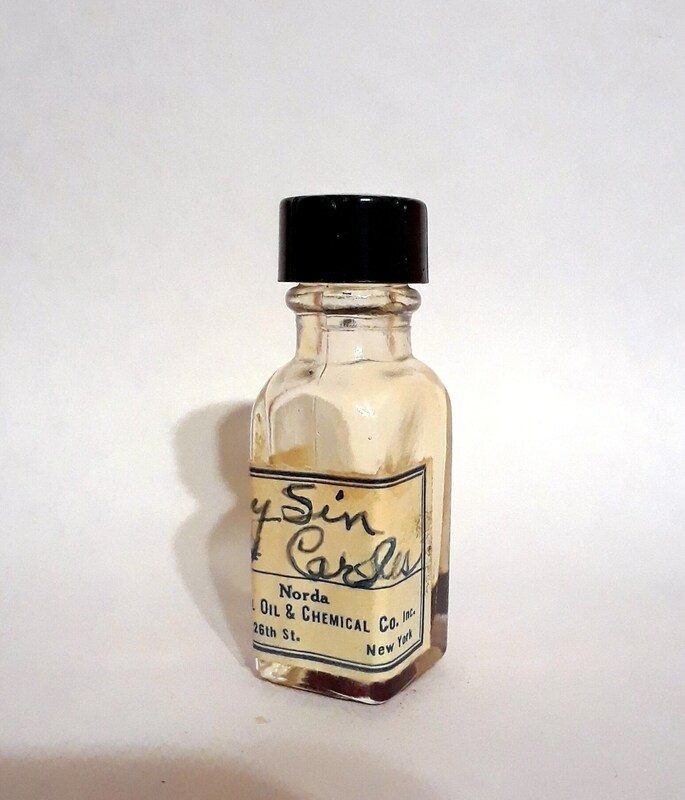 This is a vintage 1930s 5ml bottle of My Sin by Lanvin Type PERFUME BASE from the H. Carles factory in France. It is i a clear glass, French square type bottle with black bakelite screw cap and Norda paper label. I just tested this with a smelling strip and it has a waxy aldehydic top, indolic white flowers, and resinous and animalic tones over woods. Launched in 1924, My Sin by Lanvin is classified as a floral fragrance for women with a dominant acacia note with aldehydic character. 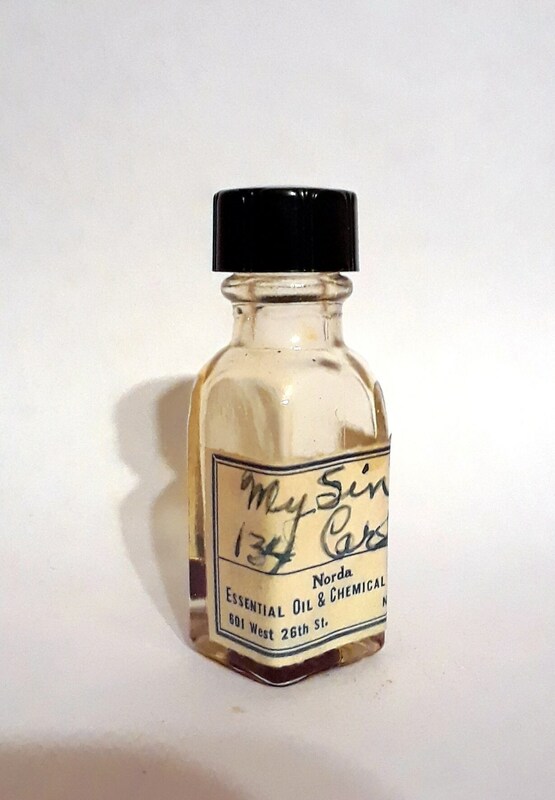 This is an aldehydic floral type base used for the creation of My Sin by Lanvin type perfumes. 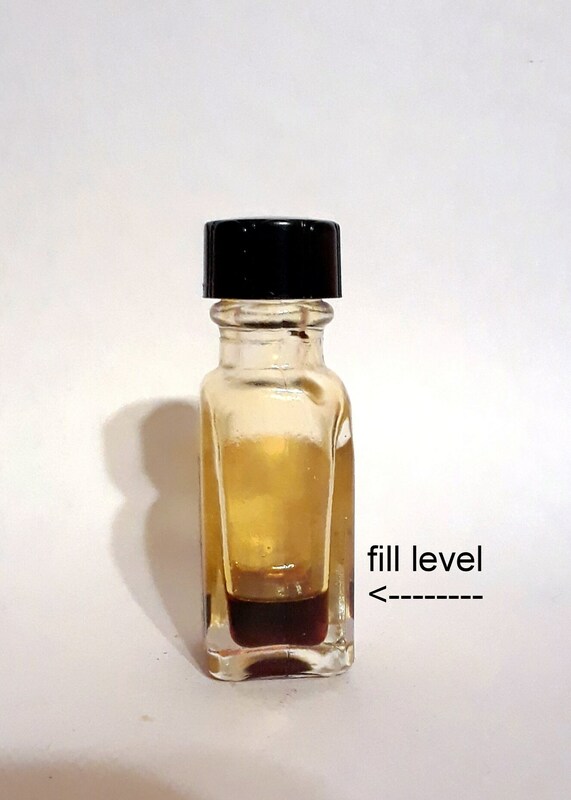 This would be perfect for anyone interested in creating their own perfume, studying fragrance and raw materials or for vintage fragrance collecting. This is very old and the contents may no longer be usable and the label has wear or staining. I do not guarantee any fragrance or contents contained within the bottle.